It is easy for Christians to feel distant from God and overwhelmed with the stresses of daily life. It does not work for us to simply reproach ourselves for worrying and then muscle forward with a forced smile. Instead of exhorting ourselves to “walk in the Spirit,” I recommend that we resort to God through small prayers throughout the day. All the experiences we have are of interest to God, so we can talk to him about what is going on with us. This spontaneous prayer while in the midst of appointments and tasks of our day can do much for us to experience a sense of God’s nearness to us and close involvement with our daily life. What is a small prayer? What are you even doing in my life right now? It's all about being honest with God in a text-message way instead of a religious and formal address. By these small prayers, we can find God drawing near to us in the small and big areas of our lives. God is involved and attentive to our daily lives already; he invites us to cast all our cares upon him as we face small and large concerns in daily life (1 Peter 5:7). These small prayers can become a reflex and habit to “practice the presence of God with us” (Brother Lawrence). The privilege we have to talk to God about everything that is going on with us is staggering. To consider it rationally just seems crazy—the Master of the Universe is more attentive and available to me than anyone else in my life. He gives his direct attention to me whenever I turn to him! 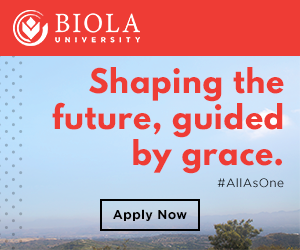 Prof. John E. McKinley teaches Biblical and Theological Studies at Biola University.